Crinoline lined wool gabardine headband measuring 1 1/4” in the center and 1 7/8” on the sides. The crinoline helps keep its shape and the ‘cupping’ it creates look beautiful in the hair. 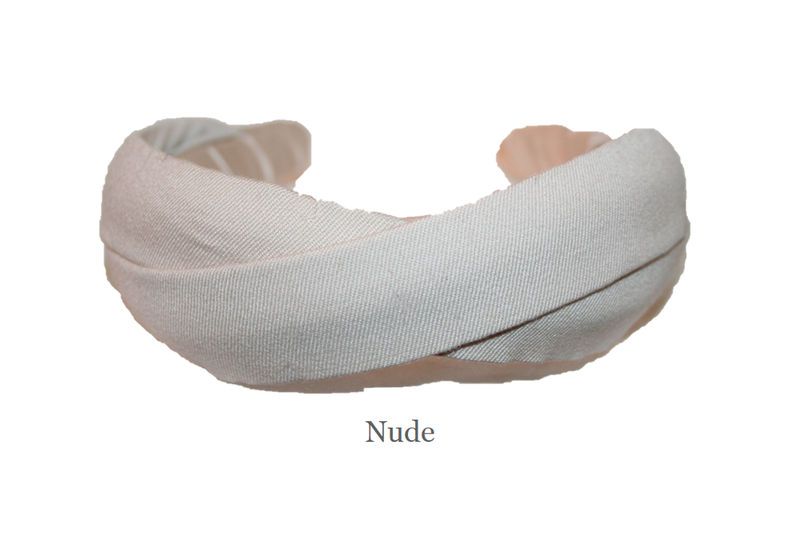 There is a 1” French plastic headband underneath for ultimate comfort. Luxurious wool gabardine, classic, timeless. Lovely in all hair types and showing NEW colors for spring!